Meet the original solo women travelers. These pioneering woman took to the road, seas, and skies, changing the world around them, at a time time when adventure travel was a men’s-only game. In honor of Women’s History Month, The Venture with Impact Team is listing some of the early women explorers who inspire us to keep traveling and boldly go! Bly broke all of the rules of the newspaper industry in the 1900s, first making a name for herself through her daring an horrifying expose on the conditions at Blackwell Island Insane Asylum in New York City. Bly feigned mental illness to gain access and experienced the asylum’s abuses first-hand. Her widely-acclaimed article was titled “Ten Days in a Mad-House” and became a catalyst for change. Bly later tackled world travel. She pitched a story inspired by the Jules Verne novel Around the World in 80 Days, in which she would attempt to break the record set by the book. Despite broad scepticism at her chances for success, her editor ultimately agreed to let her try and Bly succeeded in circumnavigating the world in 72 days. Gertrude Bell, also known as the “Queen of the Desert” and the “Female Lawrence of Arabia”, was a British writer and archeologist that defied expectations for a Victorian woman. She explored the Middle East, Asia, and Europe, bringing stories of foreign lands to the libraries of her home country. An Oxford graduate who was fluent in Persian and Arabic, Bell’s travelogues from the Middle East are read and studied to this day. Later in her life, she was instrumental in the formation of the nation of Iraq. Belle also fought for her belief that relics and antiquities should be protected and not removed from their home countries. In her quest to become a pilot, Bessie Coleman faced both racial and gender discrimination. Ultimately, she succeeded in breaking barriers and in becoming the first black female pilot in the world. Because she was not permitted to take flying lessons in the U.S.A., Bessie traveled to France to receive instruction. 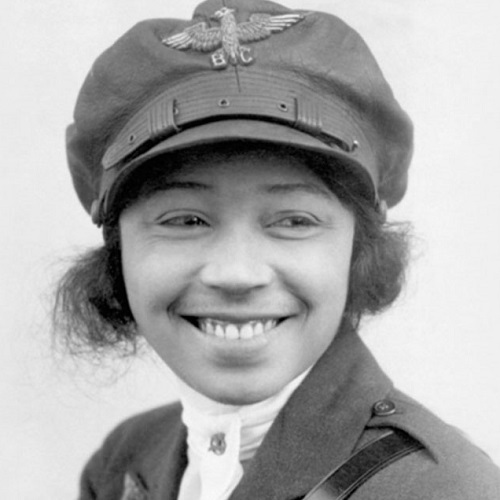 Once she returned home, she participated in aerial shows and championed for a flight-school open to African Americans. Coleman refused to participate in segregated events and became a voice for people of color hoping to take to the skies. Sadly, Coleman was killed in a flight accident at the age of 34, but not before securing her place in history. A socialite and fashion designer, Ruth Harkness, was an unlikely candidate for the adventures she would become known for. After her young husband died in his quest to find and retrieve a panda in China, she shocked New York society by setting out on an expedition of her own. Sailing on the tail of 12 failed professional expeditions before her, in 1936 she successfully brought a panda cub, Su Lin, to the U.S.A. Her voyages began an era of panda conservation and fascination with these remarkable animals. Ultimately, Her quest significantly impacted the way the Western world viewed wild animals. 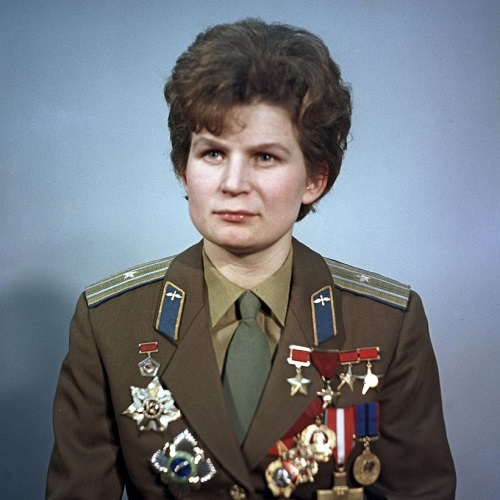 Valentina Tereshkova from the Soviet Union blazed trails as an astronaut, becoming the first woman in space in 1963. As a child, Tereshkova knew great hardship. After her father was killed in WWII, her family was flung into poverty, meaning Tereshkova was only able to attend school from age 8-16.